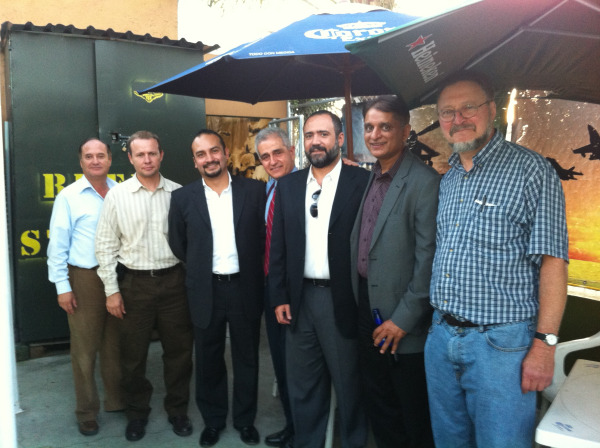 Anurag Kumar, CEO, ITexico, visited Guadalajara during the week of September 12 to meet and work with the ITexico team. He used his visit to start building good relations with people in Jalisco’s IT ecosystem. 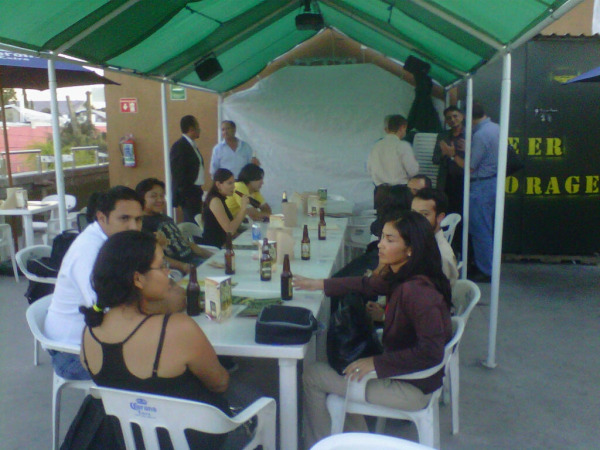 That’s the reason ITexico organized Guadalajara first ever Happy Hour, where attendees could enjoy nice chicken wings, drinks and good company of fellow technology professionals and executives. This networking event was one of a kind in Guadalajara, and was well attended with nearly 20 guests who were very excited to see this American way of building constructive relationships happening in Guadalajara. The result was HUGE! The mix was great, gathering students from two different Universities, IT professionals, executives from NIIT, Dawcons, ITexico, GTC San Diego, Austin & Guadalajara entrepreneurs, and the Global Delivery Report editor, who met and discussed a range of topics in order to contribute to grow and improve the IT industry in Guadalajara. The set up was more than convenient, it took place in a famous Wing’s franchise Restaurant in Mexico where people are used to go after work to meet with friends and have some fun after a long day of work. The event was relaxing and energizing because of the interesting conversations and productive contributions of all the positive and enthusiastic attendees. Anurag was very satisfied with the outcome, he said: “Guadalajara has a thriving high technology ecosystem. We are growing rapidly in this exciting city. It was a pleasure to meet and know so many of the professionals who were able to find time and join us. We made many new friends and look forward to many more Happy Hours!". This is just the beginning of a serie of networking events ITexico is planning to organize in order to accelerate the development of Jalisco’s IT cluster and the use of Information Technologies in all sectors to increase productivity. Don’t miss the next event…let’s have a good time! ← How Can Companies Develop the Right Mobile App Marketing Strategy?